Me on my new "mini-sprinter"
You may not have noticed if you're not bicycler, but biking in Korea has improved dramatically in the last year or two. Bike paths are popping up around Seoul, and are now even connecting cities. Nowadays it's possible to ride from Seoul to Busan by bicycle and you would be able to stay on bike paths for about 80% of the ride. The majority of the new bike paths follow waterways, anything from small streams to Korea's 4 large rivers, which makes for some seriously peaceful and scenic bicycle riding. The path I've been riding lately is the one that starts in Seoul on the north side of the Han River and just keeps going. Last year, they took an old, unused train route and converted it into a bike path. It must have been really convenient, since there were already tunnels in place and it was already relatively flat. The path has been really nicely done, and they've left some reminders of the old railway that used to exist there. Above you can see an old railway car. It seems they are restoring it now, maybe later people will be able to go in and see inside as well. Below, you can see an old station that they have restored. Along the path as well, they have tried to leave some of the old tracks as a reminder as well. This new bicycle path (which also allows walkers as well, but no cars or motorbikes) is attracting huge crowds. Enough so to justify setting up restaurants along the bike path that cars just don't have access to. It's kind of amazing to think of a world revolving around bikes, not cars, but that's what it's like once you start riding on this path. Like existing in a car-less world. It's kind of amazing! If you don't have your own bike, have no fear. There are many bike rental shops and there are even various locations where you can borrow a bike for free. One of those places is just outside Yangsu station on the Jungang line. The rental bikes look like quite nice mountain bikes, though I haven't tried them for myself since I have my own bike. I hope I've inspired you to get out this spring and enjoy the weather by exploring Korea by bicycle. Bike paths now snake all around Korea. Just by getting on the north side of the Han river in Seoul, you can bike all the way to Chungju in North Chungcheon province without ever having to get off the path. Bike path maps are also conveniently posted along the path in various places, though often only in Korean. 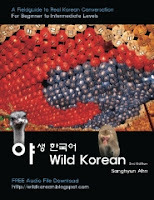 I've yet to see many foreigners along this path outside of Seoul, so we have to get the word out! Happy biking! i'm not sure about how much time you spend on paths vs the road, but there are paths all the way to busan. at least, i've found lots of info on biking from seoul to busan. but i had no idea that you didn't have to get off the path on the way to chungju. but once you get here, the path around the city, and along the river, spits you out on the road every now and again. it's pretty awesome how many bike paths are sprouting up all over the place. but it looks like there's a lot of biking on roads included. but otherwise, i've mostly heard hearsay. i've heard lots of people mentioning the possibility of biking from seoul to busan, but haven't come across a lot in terms of info on bike trails.